Personal-Assistant-Tips was founded in 2009. It was born out of the popular PA resource website www.personal-assistant-tips.com, which was created and developed by Marguerita King, our founder and Managing Director. The mission of Personal-Assistant-Tips is to increase PA know-how by showing PAs how to propel their PA skills-set to the next level, while optimizing their personal brand. Personal-Assistant-Tips offers a number of services dedicated to the continuous professional development needs of PA professionals. We provide some of the best advice and practical know-how in the PA development industry through this PA resource website, through career mentoring programmes, through Executive PA training courses, and through our EA Consultancy service. 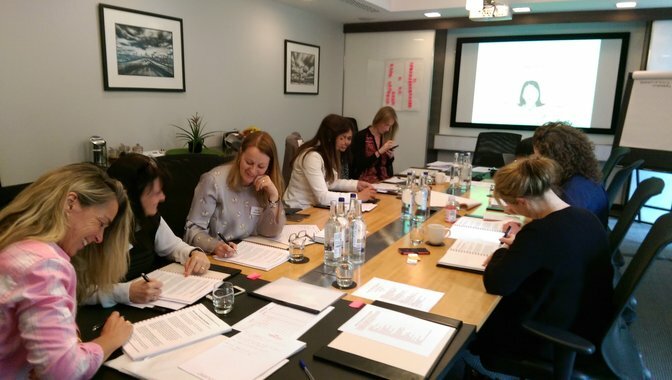 Our courses are held outside of the typical classroom environment at comfortable, centrally located venues so that delegates can relax in their surroundings. Training is delivered to small groups of PAs to ensure that individuals can fully interact with the group. We also deliver training courses at corporate offices for the convenient of their PAs. Our bite-size lunch 'n learn PA courses are held over the lunch period to accommodate everyone's schedule. We have delivered courses around the world, and have worked with clients and trainees from a number of companies, including PwC, NHS, Marks & Spencer, BP, UNESCO, ING, European Training Foundation, E-On, Symantec, Provident, Roche, The Environment Agency, The Cabinet Office, Capital One, Alstom Energy, European Patent Office, Ferring Pharmaceuticals, Moody’s Investors, BNP Paribas, and Legal & General. 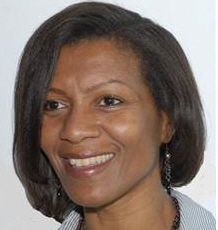 Marguerita King BSc DipPA is the owner and Managing Director of Personal-Assistant-Tips. As an international trainer, Marguerita has written some of the most relevant and practical PA and EA training courses in the world today. She is an exceptional teacher that knows how to get the best out of her professional students. Her passion is to develop courses and mentoring programmes that help Executive Assistants, PAs, secretaries and Administrators to improve their productivity, while upgrading their PA skill-set to that of a strategic business partner. With over 25 years' experience in the PA profession, which was gained in a number of industries, Marguerita fully appreciates the challenges and demands of the modern PA role. She often draws upon her substantial experience as a former Executive PA to tackle the administrative aspects of running her own business. 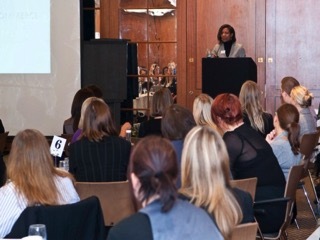 Marguerita is also a Consultant PA Mentor and a speaker. She has written hundreds of articles on the PA role and PA work strategy for general publications, for newsletters and for this website. Marguerita has a psychology degree and a diploma in personal assistance. “I am passionate about developing the skill-set of Executive PAs. I currently live in London, England where I grew up. I began my career with secretarial training, and progressed to become a Senior Executive PA with my own team. I left my job in 2008 to start my own business, passing on my hard-earned skills. I remember the days when girls aspired to be secretaries and the skills that really mattered were typing speed, accuracy and tabulation. Today’s Executive PAs are business partners and vital members of an effective top team. It’s my role to coach and train PAs, and develop PA skills and talents to match the business challenge. Personal experience has taught me that the road to success is always under construction. And no matter how good you think you are at your job, the goal post will shift with the needs of the executive, so continuous professional development is the key to staying ahead of the game. I enjoy writing and developing PA training courses that encourage PAs to think outside the box and take responsibility for their own career advancement. My courses get excellent/good customer satisfaction ratings, and the repeat bookings reassure me that I am making a real impact on business performance. 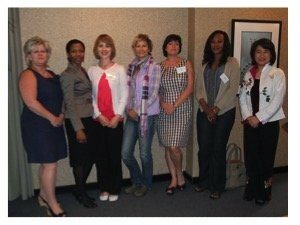 I have delivered courses to senior PAs as far afield as Johannesburg, Dubai, Shanghai, and Kuala Lumpur.